One of the fascinating things about watching an emerging startup ecosystem is that it isn’t just companies that are scaling, the very VC firms that feed them are growing themselves, too. That’s perhaps best embodied by Golden Gate Ventures, a Singapore-based firm founded by three Silicon Valley entrepreneurs in 2011 which is about to close a huge new fund for Southeast Asia. Golden Gate started out with a small seed investment fund before raising a second worth $60 million in 2015. Now it is in the closes stages of finalizing a new $100 million fund, which has completed a first close of over $65 million in commitments, a source with knowledge of discussions told TechCrunch. Electric scooter startup Bird, the one worth $2 billion, is going international. This does not come as a surprise given TechCrunch’s June report that Bird was looking to expand to Europe. Today, Bird is launching a pilot program in Paris to see how the electric scooter service operates in a city with more than two million people. “Paris is very forward-thinking on solving congestion issues and is one of the cities that’s dealing with the most congestion and pollution,” Bird Head of Europe, the Middle East and Africa Patrick Studener told TechCrunch. Bird is also gearing up to deploy some scooters in Tel Aviv, where the company says it’s chatting with Tel Aviv University and some municipalities about making something work in those areas, Studener said. In Tel Aviv, Bird will charge 5 shekels to start and then 50 agorot per minute. Uber is making calls to some of its customers in New York City, offering to connect them to local council members to express their opposition to the proposed legislation that would cap the number of ride-hailing drivers in the city, Buzzfeed first reported. 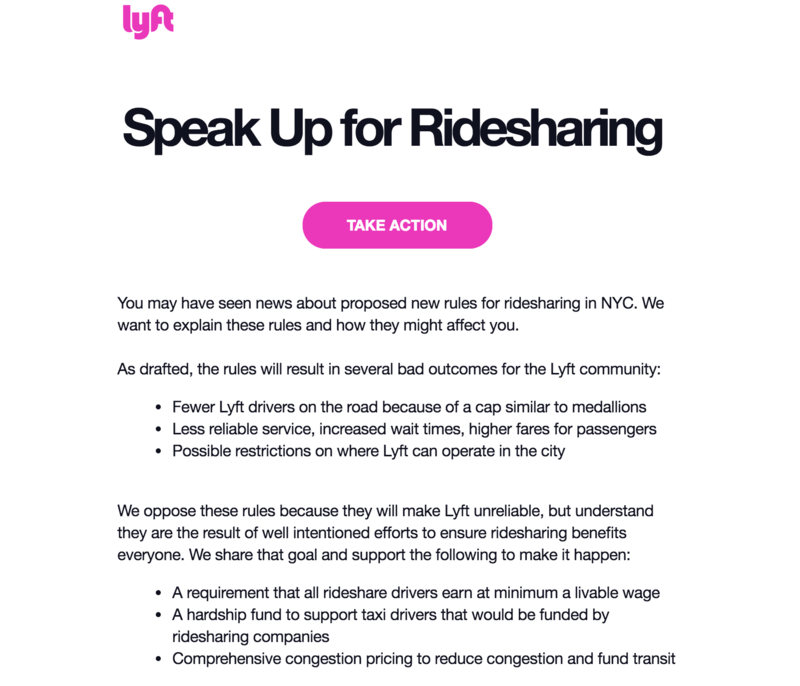 Meanwhile, Lyft is also reaching out to its NYC-based riders, asking them to contact their local officials. For context, the NYC city council is currently considering legislation that would limit the number of ride-hail drivers on the road. Specifically, the proposal wants to place a one-year hold on the issuance of new for-hire vehicle licenses, unless the vehicles are wheelchair accessible.